Click the photo above or here for the full resolution image. Catclaw briers, also known as a touch-me-not, shameplant, or shy plant, has a unique trait not found in many other plants. As the name hints, it’s “shy”. Yes, the “catclaw” part is because it’s fluffy and has thorns, but it’s often described as bashful because the leaves close when touched. This isn’t a slow process, it can occur within seconds. 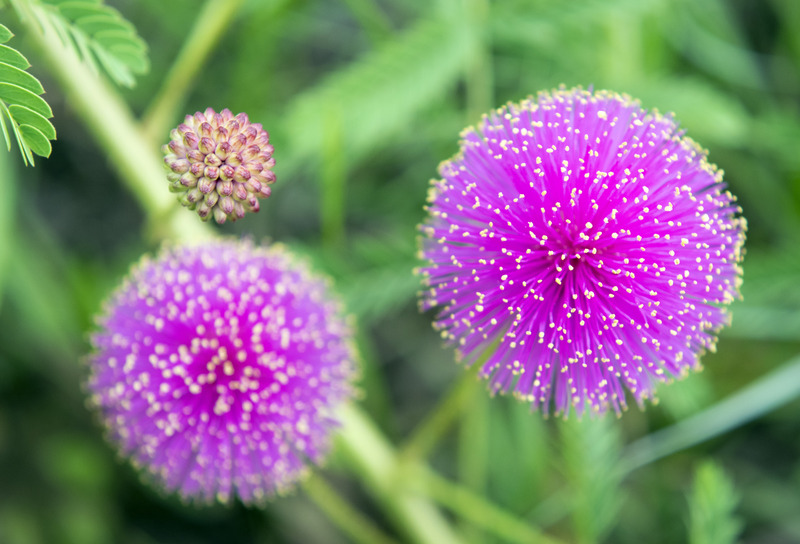 This is not a Mimosa nuttallii, but a Mimosa pudica. They are not entirely dissimilar, they are in the same genus after all. Where this one is a little taller and the leaves a little larger, the action taken by the leaves is very similar.